🚀 We're hiring, check out our careers page to join our team! How to distinguish between leads and customers? How does the Connector handle if a Lead turns into a Customer? The Intercom Connector enables your sales team to engage with leads and helps your support team to stay in touch with customers by integrating Intercom seamlessly with other data sources. The Hull Intercom Connector allows your organization to synchronize leads and users from and to our platform. Once you have your data in Hull, you can send it to other tools to keep your entire stack in sync or update Intercom with data from other sources. If you want to reveal anonymous traffic, you can combine the Intercom lead data with tracking data from your website and Clearbit data. You can leverage Hull’s powerful segmentation engine together with Intercom to automate tagging of leads and users. By using action-driven segments in Hull you can create dynamic lists in Intercom to automate your messaging based on touchpoint activities. The Connector automatically creates the segment tags for you which you can combine with your own custom tags in Intercom. Hull provides you the flexibility to communicate with your customers in a flexible and automated way. Conversations in Intercom are synchronized near-real time with the Event stream of the Hull user profile which enables you to trigger further actions in other tools of your stack. The Intercom connector supports to create users, add traits and update traits. Events are used for filtering and messaging, and event names are used directly in Intercom, we recommend sending high-level activity about your users rather than raw streams of all events. The recommendation for event names is to combine a past tense verb and nouns. Note: The Intercom Connector automatically handles events received from Intercom, for a detailed list of the events received, see Deep-Dive: Received Notifications from Intercom (Topics). You have the option to determine which is the leading, either Hull or Intercom in case of conflicting data. If you make Hull the leading system, check the box “Hull overwrites Intercom”. In this case the value in Hull for a given attribute will always take precedence over the value in Intercom. For example, the attribute company does have the value “XYZ Inc.” in Hull and Intercom has “XYZ”, if you check the box, the value in Intercom will be updated with “XYZ Inc.”, otherwise “XYZ” will stay in Intercom. Note: If you have changed your custom attributes in Intercom or set up the Connector for the first time, please refer to the section Retrieve Intercom Attributes initially or Refresh Custom Attributes. As soon as a lead turned into a customer, all further interaction between Hull and Intercom will be associated with the customer. If this is the case, please return to your Dashboard tab and click on either “fetch” button. This will force the Connector to retrieve metadata from Intercom. The attributes will become available near-real time, so you can continue with the configuration. 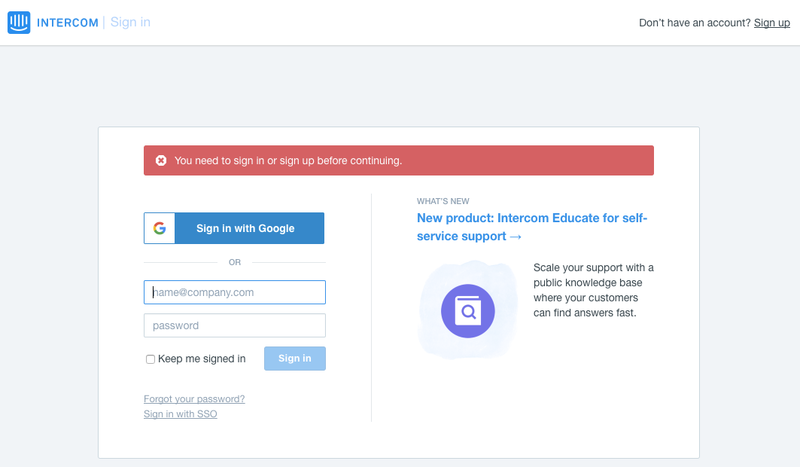 Note: Intercom does not provide an API endpoint to gather this information, that is why the Connector has to rely on the metadata from fetched customers and leads. To link the anonymous traffic and the leads in Intercom, you need to be using Hull.js to track data in your website (You do this by adding a Platform to Hull) and then you need to enable the Intercom connector client-side component by adding it to the platform. When you do this: - The Intercom Visitor IDs will be added to the current visitor list of aliases and this will link the Intercom Lead profile and the online visitor profile. - Any tracking or traits call you make to Hull.js will also be sent to Intercom in parallel, This way you don’t have to instrument your code twice. user.created Customer creations Create a new user in Hull or update an existing one. user.deleted Customer deletions. Not for bulk operations. Update user in Hull. user.tag.created User being tagged. If the tag does not match a segment in Hull a new event “Added Tag” is created. user.tag.deleted User being untagged. Not for bulk deletions. If the tag does not match a segment in Hull a new event “Removed Tag” is created. user.email.updated Customer’s email address being updated. Update user in Hull. contact.created Lead creations Create a new user in Hull or update an existing one. contact.signed_up Lead converting to a Customer Update user in Hull and set trait intercom.is_lead to false.